The main character in this story is Maggie, she is the daughter of a famous country singing duo. She has been told her whole life that she cannot sing, she cannot carry a tune at all. 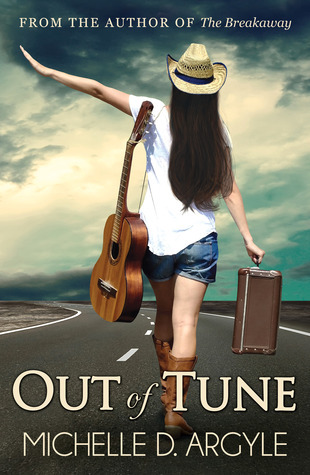 As she graduates high school her best friend leaves for college, her friend from her parents band quiets and she gets in a fight with her parents and moves out. people all around her keep telling to just keep writing songs not to worry about the singing part but that is what she wants to do. She then found a vocal coach who starts to help her and then she finds out her parents are getting a divorce. She is still in love with her ex-boyfriend who she still can’t figure out why they broke up. She goes along and gets a place of her own and when she finally is able to sing in front of people she decides she doesn’t like it as much as she thought she would, but people are still wanting her songs that she is writing. She also finds out that her ex had a son he did not know about and that he was now responsible for. He is in a hospital because of an accident that killed his mother. This is something they work through because everyone around the band always treated her differently. She was trying to show her, parents her friends and her ex that she was growing up if they would let her. A good story. I got this book from net galley.